Ping Tan is an associate professor at the School of Computing Science in the Simon Fraser University (SFU). Before that, he was an associate professor at the Department of Electrical and Computer Engineering in the National University of Singapore (NUS). From 2016 to 2018 April, he worked in Qihoo 360's AI Lab in Beijing, China, and helped to launch the 360 robot vacuum cleaner. He received his PhD degree in Computer Science & Engineering from the Hong Kong University of Science and Technology in 2007, and his Master and Bachelor degrees from Shanghai Jiao Tong University, China, in 2000 and 2003 respectively. 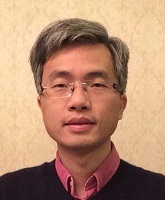 He has served as an editorial board member of the International Journal of Computer Vision (IJCV), Computer Graphics Forum (CGF), and the Machine Vision and Applications (MVA). He has served as an area chair of CVPR and a program committee member of SIGGRAPH, SIGGRAPH Asia. He received the inaugural MIT TR35@Singapore award in 2012 (among 12 top innovators under 35 from Southeast Asia, Australia, and New Zealand), Honorable Mention of the Image and Vision Computing Outstanding Young Researcher Award in 2012, the NSERC Discovery Accelerator Supplements (DAS) award in 2014. Research interests keywords: computer vision, computer graphics, robotics, 3D reconstruction, image-based modeling, image and video editing, lighting and reflectance modeling.